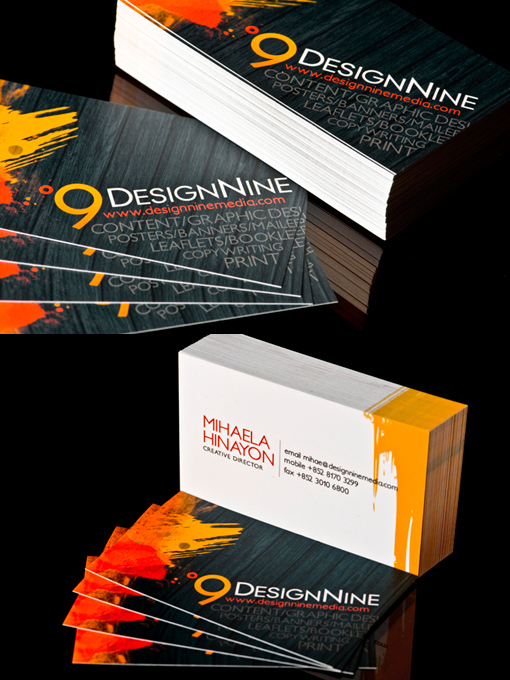 We are DesignNine Media, a communication design company specializing in content development and graphic design for web and print. We wanted a design that reflected the our company and the industry that we're in--young, vibrant, and dynamic. We achieved that by incorporating paint strokes into the design and balancing detail and minimalism. One side shows our company colors, logo, website and an overview of our services, while the other side highlights the contact information. We designed the card before signing up for social media profiles and in the future, we plan to include these in the layout.